Here it is, all complete. I didn't take any progress photos - just this finished one. The baby quilt measures roughly 36" X 44" now. The yellow strips are actually beige. And we started this one. I wanted to see how big 8 inch squares were. 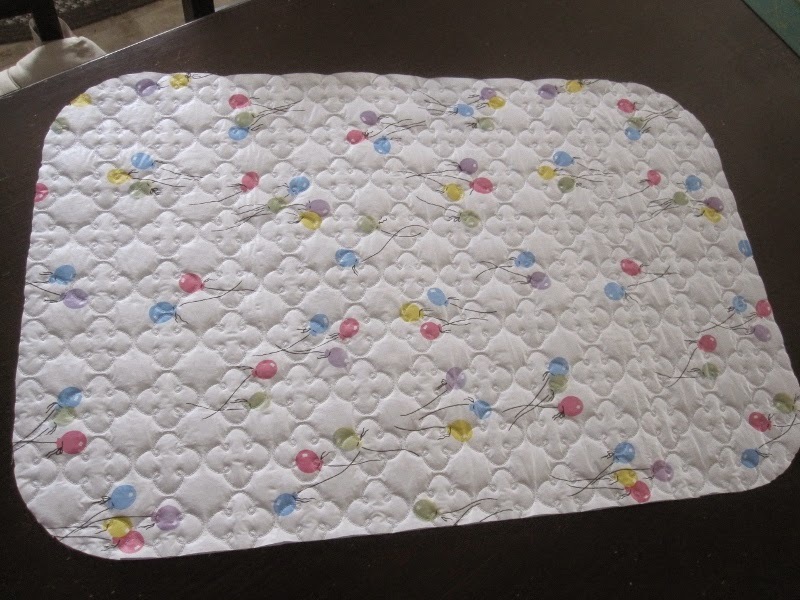 I knew they were going to be way too big for a baby quilt but Marg thought they would be fine - until I laid them out. Oh well, this is a learning curve. We will be going a little at a time with this since the pattern this is based on it a lap sized quilt 62" X 79" or thereabouts. 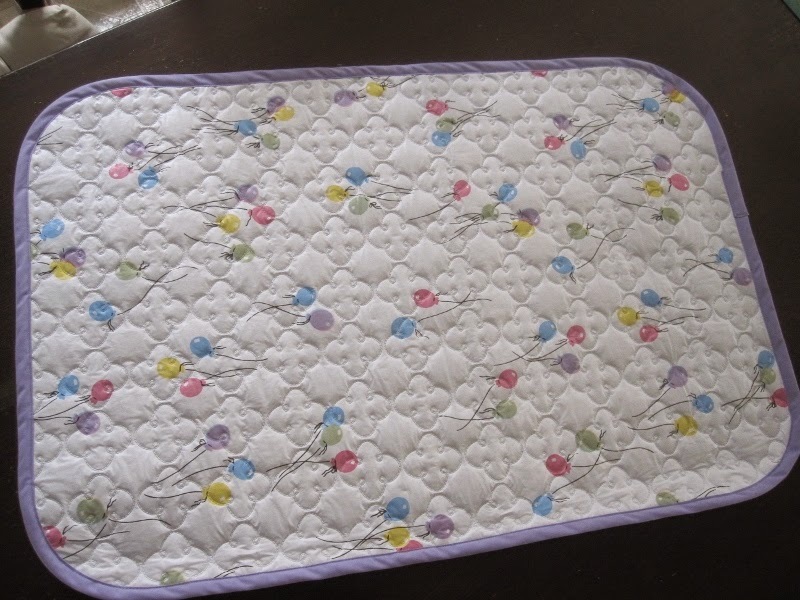 We will be making it more like the other baby quilts 36" X 44" or 48." Spring, Easter and my Peeps. I sent some to my grandsons too and there is a watermelon flavour I have yet to find. I made a fabric basket. Actually, I made two other ones too but I forgot to take a photo before sealing up the box and shipping it away. They were Easter baskets for my grandsons. I have asked my daughter to take a picture and send it to me so once I have it, I will show you. This basket in the photo above started out at 18" by 15". It is big and I went with my own measurements. The tutorial/pattern is here. Super easy to make. This is the beginning of a change pad. Cut to size and corners rounded. I used a saucer as my template. I had my choice of pink, yellow, green, blue or mauve to trim it in. Or white. I had lots and lots of white. Since we don't know if the baby will be a boy or a girl, a neutral colour was what I chose. 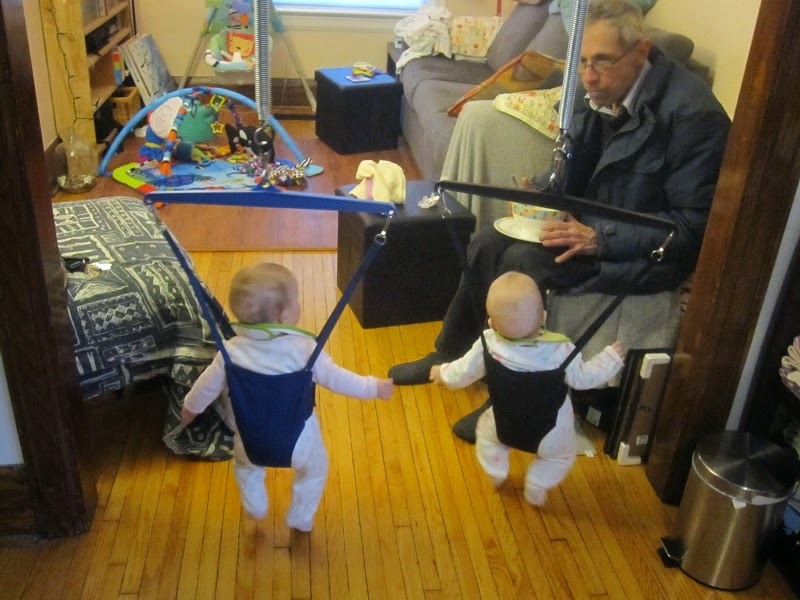 And I leave you with this photo of my little granddaughters getting their daily exercise in. That's pops supervising. It took forever to get a good photo because they wouldn't stay still long enough. Have a great weekend. I am off to a quilt show tomorrow so hopefully, there will be some inspirational photos coming up soon. Happy 2nd Birthday to Patric on Sunday!!! You've been very busy with great finishes! Love how the baby quilt turned out. I hadn't see that coming. Beautiful! Happy grandchildren in many ways! And congratulations with Patric's second birthday! Lovely quilts, and the basket, thanks for the link, with what is going on down here, that is so "doable" for me right now, and lovely for gifts too. Super Pops, that could well be " Grandies in motion". Bust busy lady...wow:) I have never had a Peeps. I don't know if I have ever seen them in the store. I probably never noticed as I don't eat sweet stuff very often. I always stock up on peeps this time of year; they are my husband's favorite. 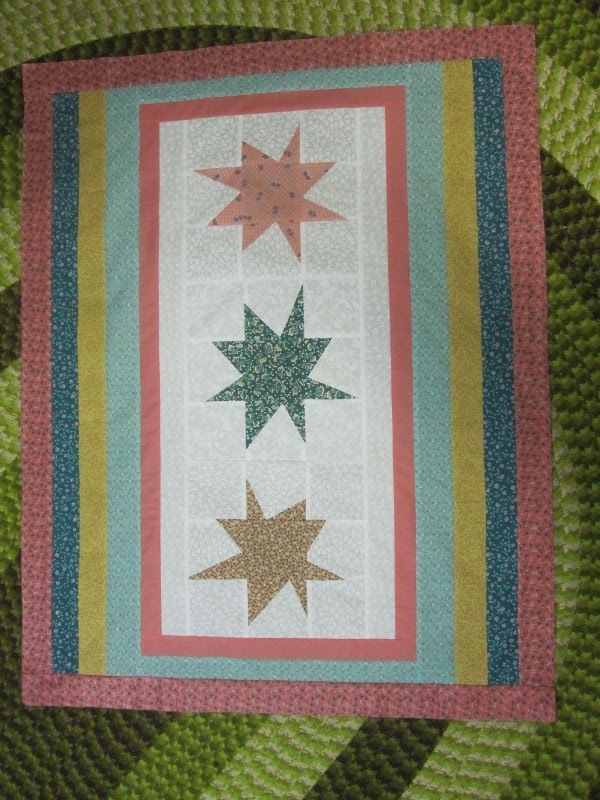 The baby quilt looks sweet. 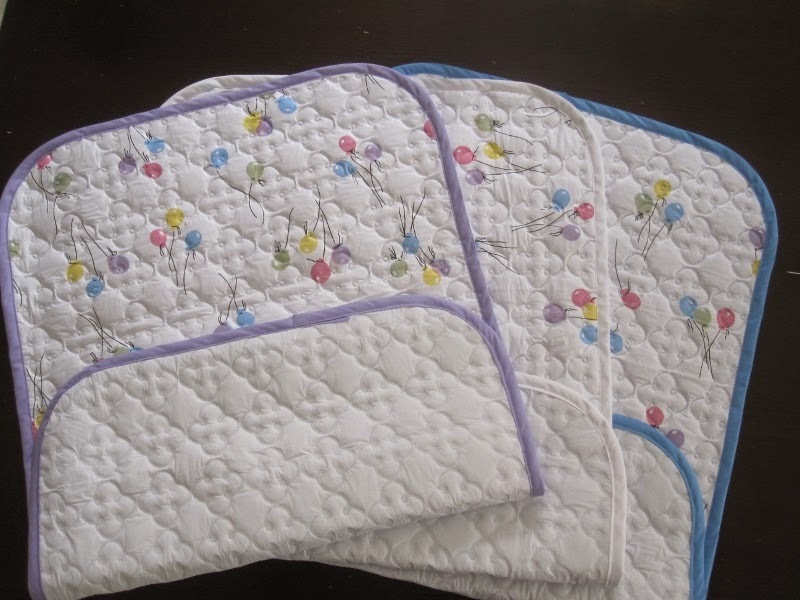 The changing pads are sweet and a great idea. The twins look adorable. 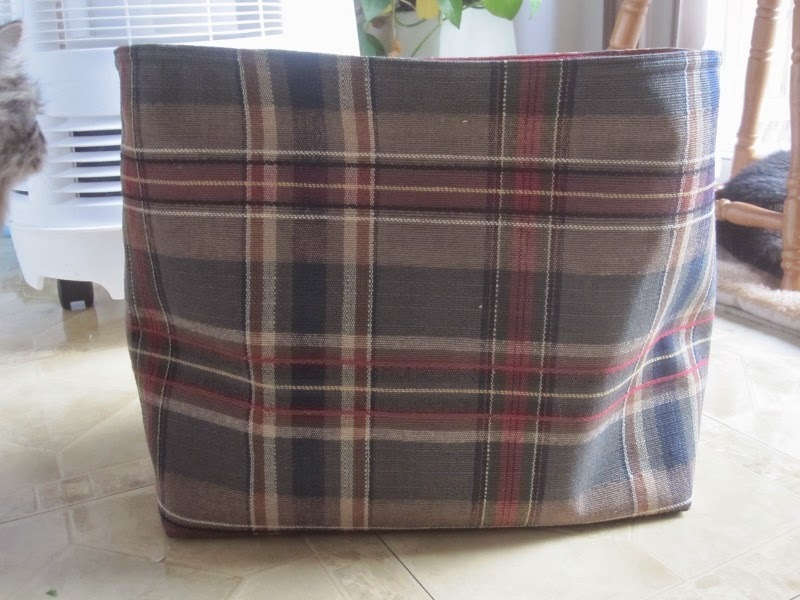 And, I love the idea of a fabric basket. Love the charity quilt! The baskets are a good idea. 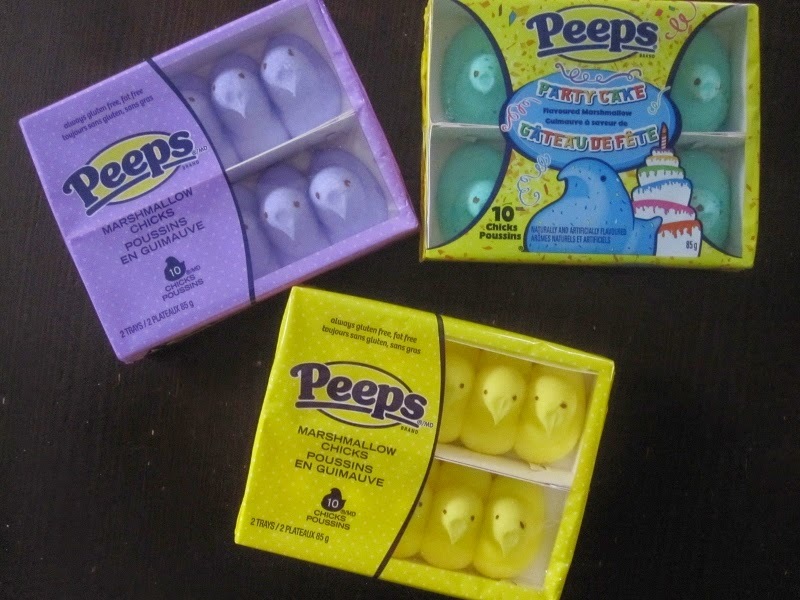 Last year I bought some peeps (because of you). Too sweet for me, but maybe if I had grown up with them, who knows? The twins are adorable. My little grandson also loves to jump. Those littles have so much energy! How cute are those kids! You are going to be surrounded by young ones. 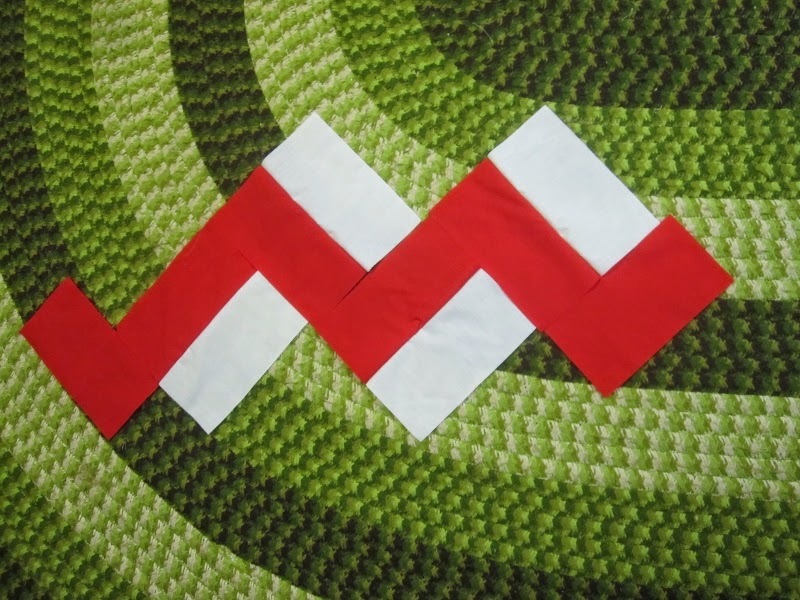 Nice finish to your quilt top. Love the fabric basket ! I'm glad to hear that you, too, have a difficult time getting a decent photo of the little ones ... wow, they move fast. Happy Easter at your house ! 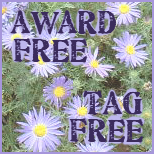 Wow you've been busy - you always make me feel like such a slacker!! 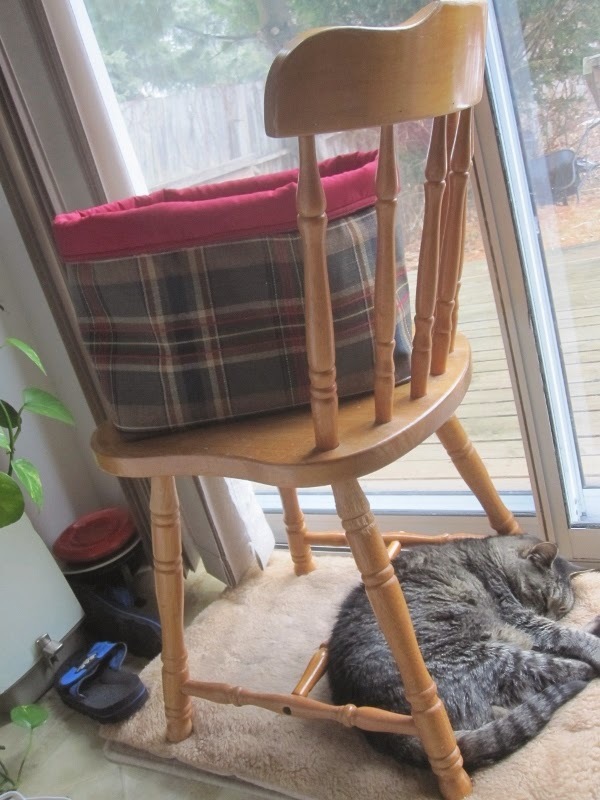 That fabric basket is awesome. Those little girls are too precious - and I can't believe Patric is going to be two!! !